The most basic and perhaps most important type of backup is the system image. I'll walk through creating an image backup in Macrium Reflect. The system image (or image backup) of a computer includes everything on the primary hard drive that would be required to restore a working system to a completely empty replacement drive. Or put more simply - an image backup backs up everything. I'll walk you through creating an image backup using Macrium Reflect. The upper drive is our backup drive - the D: drive. The System Reserved partition and the C: drive. In addition, this drive has a master boot record (MBR). A system image will backup all of this. Click "Create an image of the partition(s) required to backup and restore Windows" to get things started. The upper part of the resulting dialog will have been automatically filled in with the drives necessary to backup Windows for you. 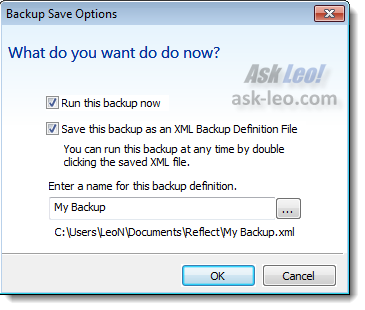 The lower portion of the dialog allows you to specify where the backup image is to be placed. The destination folder can be any folder on an attached drive, such as an external drive, or even a folder on a network device. The backup filename defaults to the "Image ID". This can be fairly obscure, but you're quite welcome to specify a name for the backup - perhaps the name of the machine being backed up. On the next screen, you're presented with a summary of the options that you've selected for your backup. Click the Advanced Options link. In reality, it's safe to ignore most of the options here, but I like to increase the compression to "High" so that the backup images take as little space as possible. The trade-off is that the backup might take a little longer to run. Click OK and then Next to continue. Macrium creates what's called an "XML Backup Definition File" which saves all of the options that we've selected so far. This will become useful when we perform incremental backups or scheduled backups later. Make sure that "Run this backup now" is also checked and click OK to start the actual backup. As the backup progresses, you can click the Hide button to hide Macrium Reflect while it does its job. Just right-click its icon in the status area and click Show if you want it back. The backup is complete. You'll find the backup image in the location you specified as a single .mrimg or Macrium Reflect IMage File. This is Leo Notenboom for AskLeo.net. Creating an image backup with Macrium Reflect. Now that we've got Macrium installed and our rescue media created, it's time to go ahead and create a base image backup of the drives that we care about. In this particular machine, I actually have two drives. On top, you'll see a backup drive D: and on the bottom, you'll see a disk that has two partitions. The first being the system reserve partition and the second being the C: drive. What we're going to do is to create an image backup of the lower drive. In this particular case, Macrium actually makes this fairly easy by simply allowing us to say 'Create an image of the partition(s) required to backup and restore Windows.' It automatically selects both the reserved area and the C: drive and the master boot record which are required to restore Windows. The destination of our backup will be the backup drive. As we saw before, the backup drive is the D: drive on this machine. You can select a local drive, an external drive or, if you want to, network drives that have sufficient capacity for the backup you're about to create. I'll just go ahead and stick with the root of the D: drive as our backup location, assuming that this particular drive is dedicated to backing up this machine. You can also set your own file name; they suggest (and that's fine) that you use the image ID as the filename. You'll see what that looks like in a moment. We'll hit Next. We're presented with a summary with what the operations are about to perform entail. There are advanced operations that are available. In general, you probably don't need to worry about them. The only one I make a habit of changing is to increase the compression level to 'High' simply to make sure that the backups take up the smallest amount of space possible. That does mean that the backup itself may take a little while longer. We'll hit OK; we'll hit Finish and now what's happened is Macrium has created a definition file; a file that contains all of the options that we've just selected. That'll come in handy later. For now, we'll go ahead and save this backup file as what they call an XML Backup Definition File. You can give it its own name; they suggest My Backup as a default and we'll go ahead and save it that way. In addition, the checkbox to 'Run this backup now' is also selected; we'll let that go so both things happen when we press OK. Since the backup is projected to a take a little while, which is not uncommon for backups, you do have the option of simply hiding the program. When you do so, the program will continue running but only this little status icon down here will be displayed until the backup completes. You can restore the display of Macrium simply by right-clicking on that icon and selecting Show. And we're done. As you can see, though it initially predicted something like 45 minutes, the actually backup took roughly 24. We'll hit OK; we'll close this and now you can see (we'll open up Windows Explorer on the backup drive) and you can see there's a 9 GB file here that contains the backup image. 'MRIMG' stands for Macrium Reflect Image. We have a full backup image of our system drive. The next video in the series: Macrium Reflect 4: Making an Incremental Backup. Macrium Reflect - Powerful Windows Backup Software Macrium Reflect is a full-featured backup program that supports everything that I consider critical to keeping your important data safely backed up. Macrium Reflect 1: Downloading and Installing Macrium Reflect 5.0 is available as a downloadable application. I'll walk you through the process of downloading and installing the program. Macrium Reflect 2: Creating Rescue Media The first step after installing any backup software is to create bootable rescue media. I'll show you how to do that with Macrium Reflect. Macrium Reflect 3: Creating a Backup Image The most basic and perhaps most important type of backup is the system image. 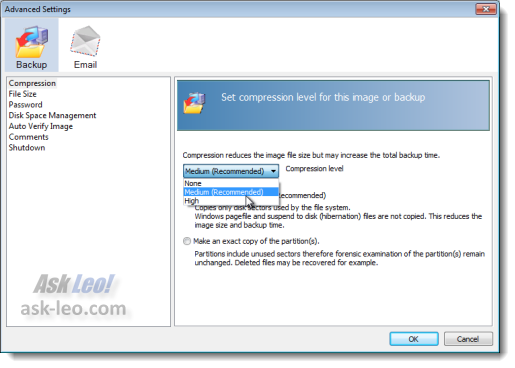 I'll walk through creating an image backup in Macrium Reflect. 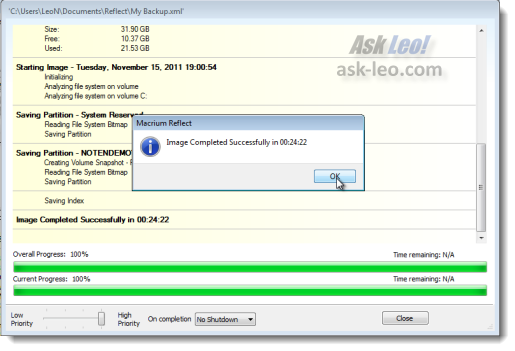 Macrium Reflect 4: Creating an Incremental Backup Image Incremental backups are the true backbone of any backup system. Incremental backups build on the initial full backup by saving files that have changed. Macrium Reflect 5: Scheduling Backups Scheduling backups to happen automatically is, perhaps, the most important and often overlooked part of a backup strategy. I'll show you how in Reflect. Macrium Reflect 6: Restoring an Image Hopefully, you'll never need it, but should your machine become malware-ridden or suffer a hardware failure, it'll be time to restore from a backup image. Macrium Reflect 7: Restoring a File from an Image Backup Image backups contain every file on the drive that they image. Fortunately, if you need only some files, you don't need to restore the whole thing. Thanks for nothing. I've installed Macrium and so far have had to look up 2 different things I knew nothing about and I haven't even created a backup yet. I'd rather do without a backup system like Macrium, which is not at all user-friendly. I will be un-installing it and, of course, will consider any recommendations of yours as useless in the future. Again, I'm looking for "Rescue Media" that can not only restore a backup, but also create one, since I do NOT trust any backup software that operates while Windows is up, active, and running. So: Can any of the above be performed from the "Rescue Media"? I hve worked with backup software for YEARS (abut 15 years !). I have gone through about 4 or 5 products. BEST one was DriveImage,which unfortunately disappeared (into norton Ghost). In ALL these, there ere times when things went great, and then the products degraded over the years, and I switched, always searching for the holy grail, and searching for reviews such as Leo's. 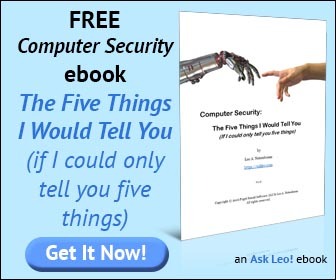 Leo did a great job of reviewing this, but, as has been my exerience,a tester's results may not be what another user experiences, due to the complexity of backups. I wish I had a bette answer, and I do thank Leo, and hpe we can all work toward finding a good product, AND GETING the developers to respond to a basic good backpu system !! Ive like macrium and have been using it for about 6months. I used to use norton ghost and find this easier but still lacking a simple user experience. But then Im a bit of a geek and like to tinker with settings. I also found that if I change the drive size after creating the image, its useless when restoring. Overall Ive been installing this on my familys pcs that I maintain and not to forget - create a boot rescue cd!!! I have only one drive NTFS Primary and nowhere to back up to.Do I need to buy and install another drive? I downloaded Macrium Reflect and I tried to backup on DVD but it would use too many....Any other option?--Thanks a lot ,Leo, for all your effort and help,I receive your newsletter a long time and learned a lot and it helped me a great deal since I have my own PC now! To perform a backup, the most practical option would be to get an external hard drive. A backup would require too many DVDs and backing up to another partition isn't really a backup. 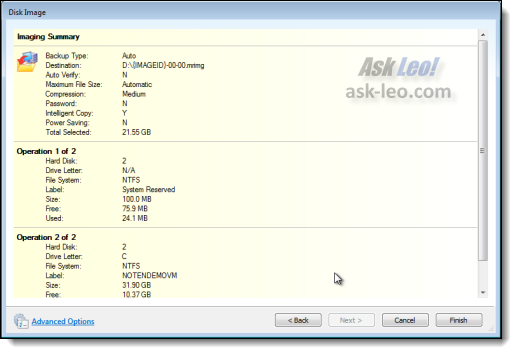 Can I backup files to another partition on the same hard disk? With Acronis, one can exclude files from an image backup, For example, one can exclude pagefile.sys. I do not need to back up a 3 GB page file. I don't see how to do this with Macrium. And since I am a lowly Trial Version person, I am not allowed to whine about this in the Macrium support forum. I have used the Free Seagate DiscWizard many times (reliably) with XP. Not much success with Win 7. - Always use a bootable CD to create the image (Windows NOT running). Does Free Macrium's bootable (Linux) CD, have the option for creating images when Windows is NOT running ? And does it (CD) have an option for verifying the image ?